For over one hundred kilometres along the main road between Mývatn and Jökuldalur in the east there is not a single house or farm to be seen. The landscape is desolate and moonlike; mile after mile of ancient lava, dust and rocks, and sand. Some of it has grown over with grass and moss, but the overall impression is of a bleakness to rival the washed-out sandflats of the southeast. 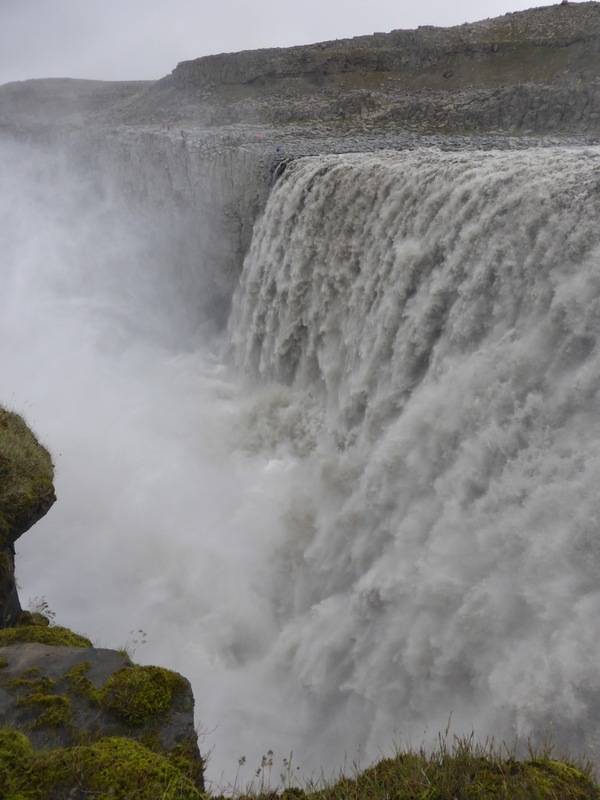 In the middle of this emptiness, some way north of Route 1, is Dettifoss, the third largest waterfall by volume in Europe. It is not beautiful, but the roaring mass of muddy grey water hurtling into the canyon below is overwhelming. It is one hundred metres wide and 44 metres high; the scale is hard to grasp in a photo, but those are people on the far side. A short way upstream the same volume of water spills over an eleven-metre V-shaped ledge in a score of smaller falls. 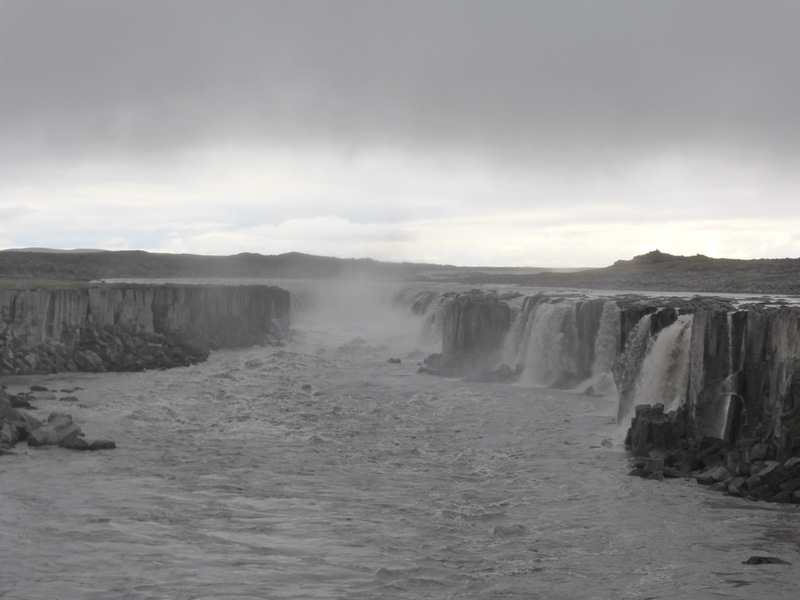 Selfoss is more aesthetically pleasing but difficult to appreciate fully after the awe-inspiring raw power of Dettifoss. 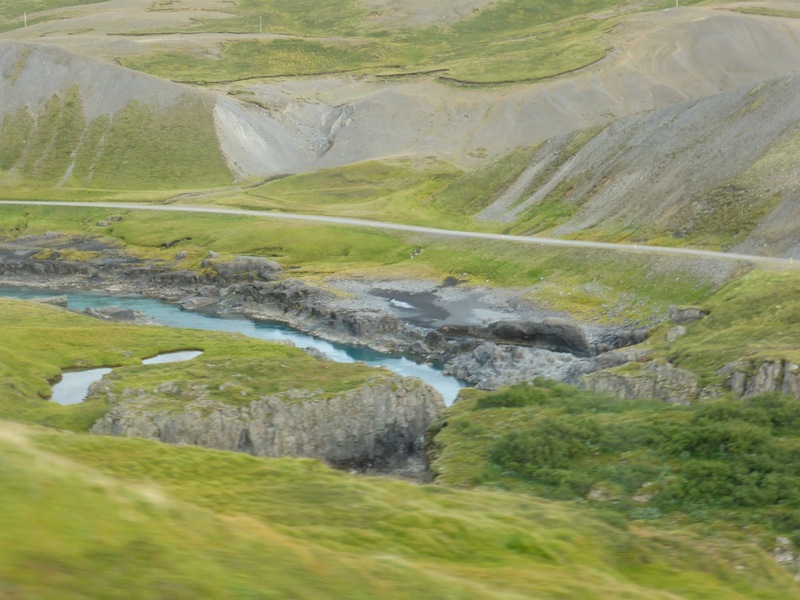 Not surprisingly, there are few stories about this part of Iceland; it is only when you come down again into the valleys to the east that names and places from the Viking Age reappear. 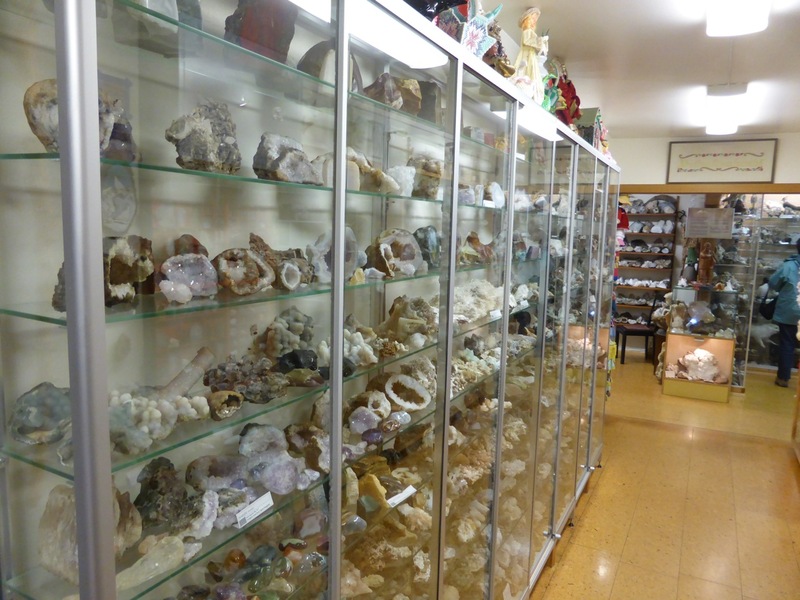 The story of a merchant who grew up beside the glacial river Jökulsá Á Dal gives an insight into what the Vikings got up to when they weren’t feuding or raiding, and the perils that accompanied even peaceful pursuits. As Thorstein the Fair discovered, a simple trading voyage to Norway could lead to you contracting scurvy and becoming bedridden. Your partner and crew might turn against you and mock you in your helplessness, then abandon you with little money and no friends in a large city in a foreign country. To top it all off, your partner might then spread a rumour back in Iceland that you had died, and marry your intended himself. Fortunately, if you were as handy with a spear as Thorstein the Fair there would be a simple solution to all this dishonouring and treachery. Unfortunately, this would inevitably drag other innocent members of both families into conflict; but as long as you protect your honour the retaliatory murders of your brothers is just the price you have to pay. 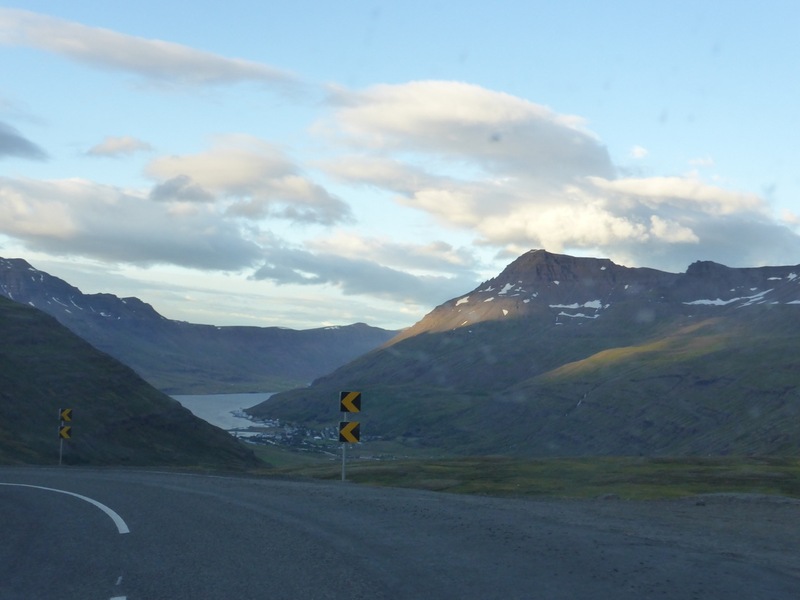 At last the road comes down into a wide fertile valley near the town of Egilsstaðir. 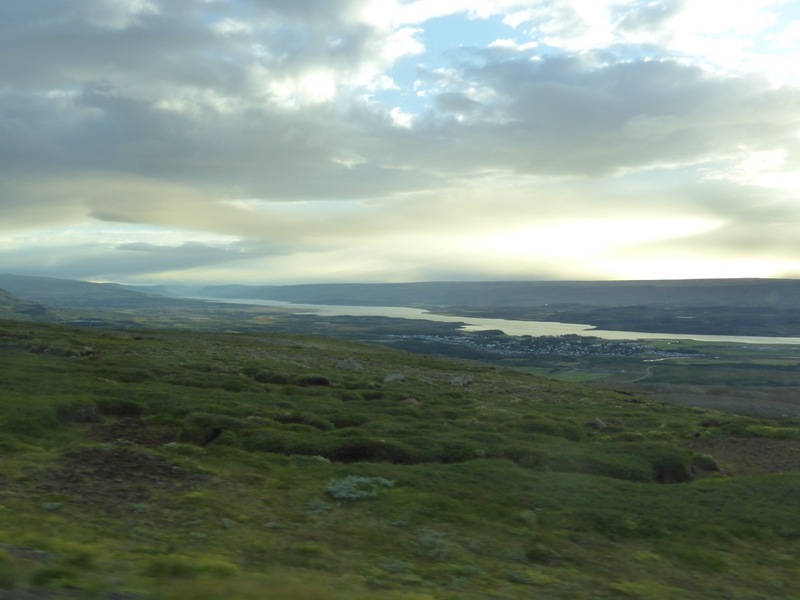 The 25 km long lake of Lagarfljót runs down the valley floor, and the eastern slopes of the valley are home to Iceland’s largest area of woodland. This was an important district during the Viking Age, and several short sagas are set along the lakeshore and in the valleys around. Of these the most famous is The Saga of Hrafnkel Frey’s Godi, most of which takes place in a valley to the west and south of the lake. It is among the most highly regarded of the sagas for its literary qualities, and unusually the moral, if there is one at all, seems to be that to live in dishonour is better than to die. Hrafnkel kills a servant for riding a horse he had dedicated to his patron god Frey, and some time later finds himself hanging upside down from his barn roof from a rope threaded around his Achilles tendons. His attacker, Sam, gives him a choice between death and disgrace, and choosing the latter Hrafnkel limps off to set up a new farm by Lagarfljót. After several years of managing his new farm wisely he is as powerful as ever, and is eventually able to offer Sam the same choice from the same uncomfortable position. Sam too chooses to live, and the saga ends ambiguously, with no clear villain, hero, or moral, and with success found in the balance between patience and opportunism. Sort of like real life. Further on again I came at last to the sea where it snakes its way through the mountains of eastern Iceland to form the Eastfjords. The Eastfjords have magical, promising names: Seyðisfjörður, Reyðarfjörður, Fáskrúðsfjörður, Stöðvarfjörður (remember ‘ð’ is pronounced ‘th’). And apart from the huge and controversial aluminium smelting plant in Reyðarfjörður they live up to the promise of their names. The village of Seyðisfjörður, surrounded by thousand-metre peaks, is where the weekly ferry from Europe arrives, and I could wish I had travelled to Iceland by sea just for the pleasure of arriving into such a charming and unlikely little place; there can hardly be anywhere less like an international ferry terminus. The disadvantage of the place is that it is a very long way from anywhere else; but on the other hand, when you’re there you’re not sure you want to be anywhere else anyway. 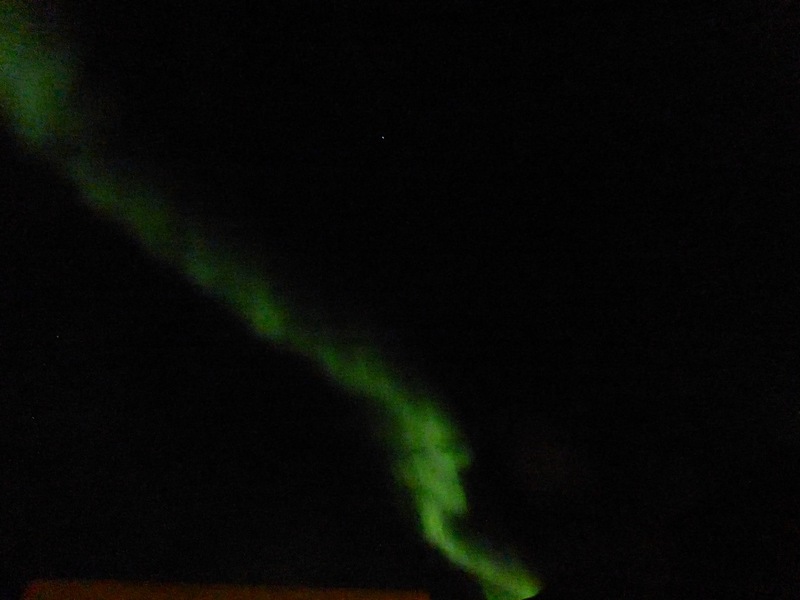 An unseasonably early display of northern lights brought the entire population of the youth hostel onto a small roof terrace and confirmed a shared sentiment that Seyðisfjörður was the place to be. Seyðisfjörður on a rainy September morning. 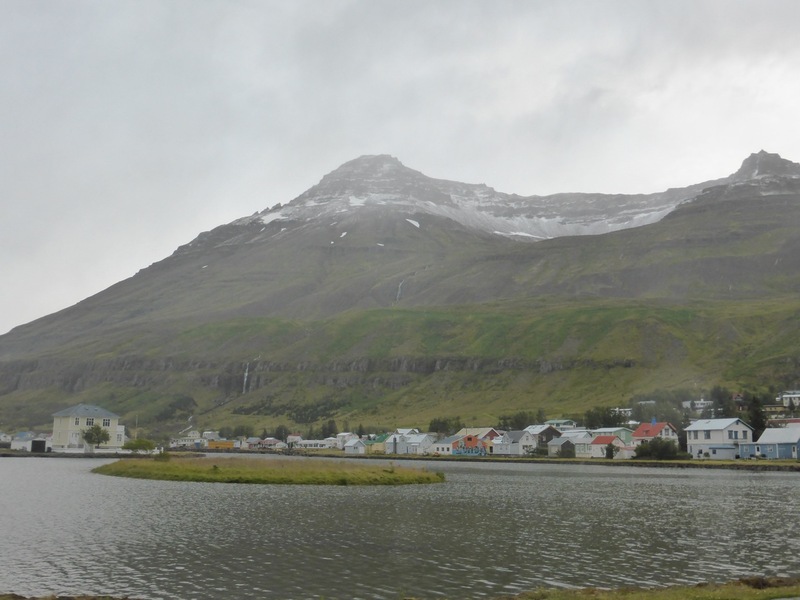 Want to or not, I had to continue my journey, and a cold rain (falling as snow on the peaks) made hill-walking, the main activity available in Seyðisfjörður, an unattractive prospect the next morning. 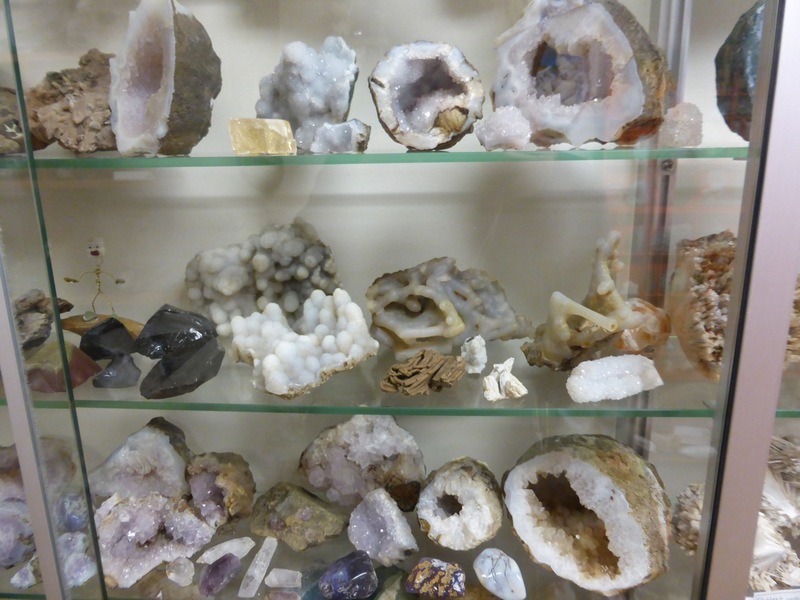 Instead I hitched my way on down the Eastfjords, stopping at various towns and museums, including the incredible Steinasafn Petru, a small house and garden entirely filled with beautiful rocks and minerals collected over a lifetime in Iceland by the zealous Petra. 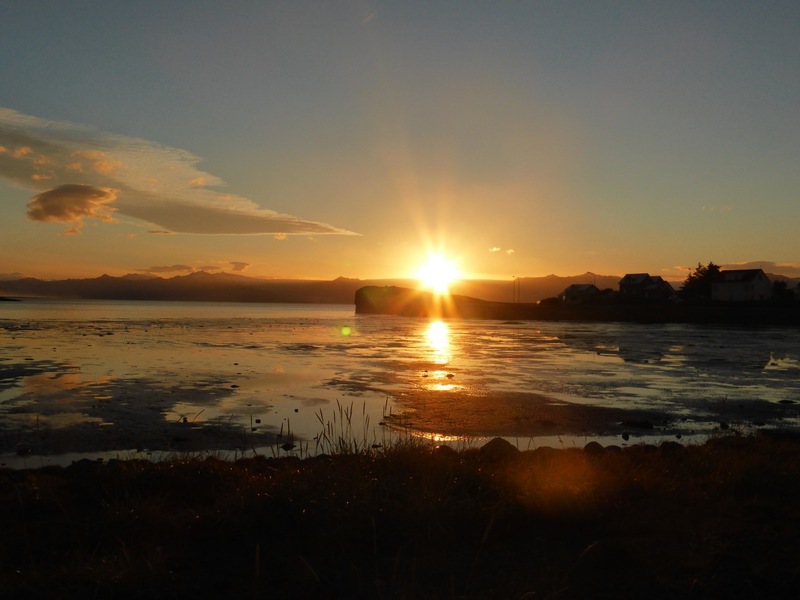 I arrived at last the following evening at Höfn, another magical harbour town on the southeastern tip of Iceland. 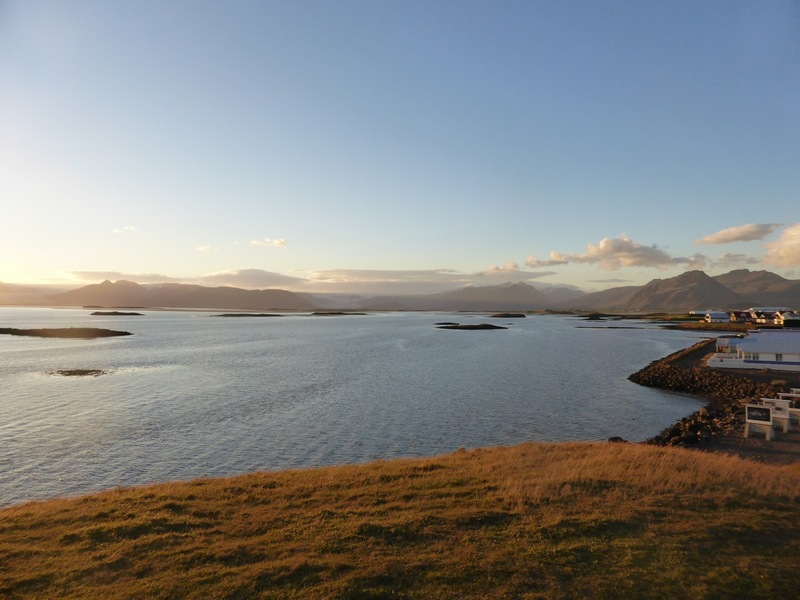 Höfn is built on a peninsula in a lagoon protected by two narrow sandbanks; behind it rise mountains and the vast bulk of Vatnajökull, the largest glacier by volume in Europe. The summer sun sets over the glacier, and it is hard to imagine a more beautiful location for a town than this.